For too long, we’ve considered traffic deaths and severe injuries to be inevitable side effects of modern life. We face a crisis on our streets — with traffic violence taking too many lives — but there has traditionally been a lack of urgency from the public and our policymakers to reverse this fatal trend. Even those attempting to address the problem — the traffic engineer, police officer, policymaker, advocate or public health specialist — are working upstream, often isolated in silos or trying to move forward without reliable data, resources, or political support. MoBikeFed comment: Vision Zero is a powerful and successful initiative that is gaining momentum across the U.S. They have developed the tools and techniques needed to actually *eliminate* traffic fatalities. Now all we need is the political will to implement them. Columbia, Missouri--led by the PedNet Coalition, the local bicycle & pedestrian advocacy group there--is moving rapidly to implement Vision Zero. 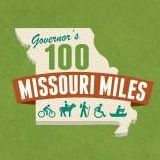 We would like to see many other Missouri communities move to adopt Vision Zero as well. Please take a look at the Vision Zero Network page to find out more.